Created from the perspective of mother, Homeland Security is an ongoing body of work comprised of (often futile or absurd) survival and escape gear made by a mother to protect her family and loved ones from a threatening array of inevitable tragedies or disasters, from simple domestic accidents to acts of terrorism and environmental catastrophes. Fusing the artist's converging interest in survival preparedness and mundane domestic survival, this body of work continues to manifest as a response to the ever present fears of the mother/caregiver, who, influenced by media and the societal commodification of fear, desires to protect that which she most fears losing. Using language culled from Survival Preparedness Handbooks which often doubles as domestic survival mantras, the work explores the line between utmost gravity and the absurd, between our real and daily dangers, and the sense of humor necessary for our survival. 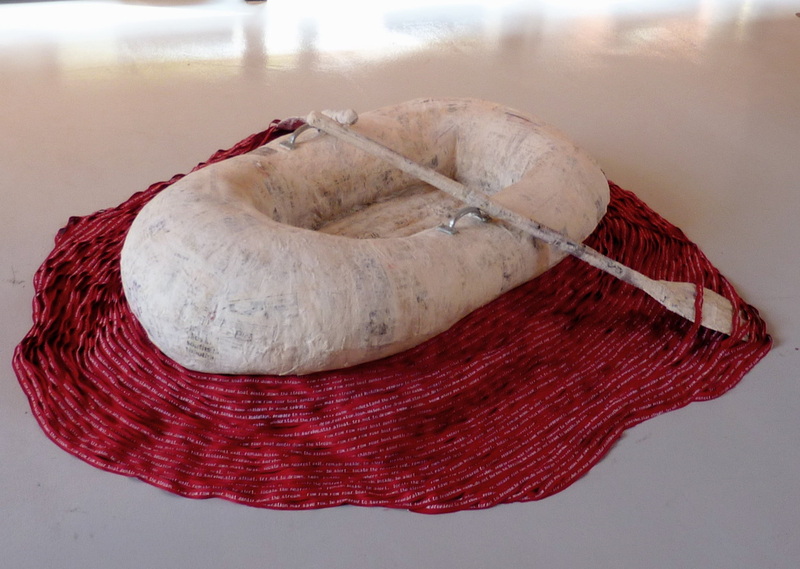 All of the work in this series speaks to human fears of loss and mortality, as well as the ego attached to the implied ability to prevent such mortal guarantees. 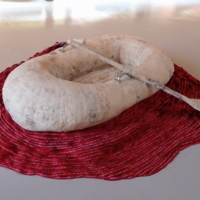 “Denise Whitebread Fanning,” Artist Parent Index , accessed April 22, 2019, http://www.artistparentindex.com/items/show/15.